Widespread anti-government protests and nationwide strikes sweep across Iran. The population is on the verge of explosion. The clerical state responds with a violent suppression campaign to silence dissent. Amnesty International says more than 7,000 protesters were arrested in 2018 calling it Iran’s ‘Year of Shame’. Most protesters are born after 2000 and reject the regime that has been in power for 40 years. These rebellious youth use every opportunity to express their protests and hatred towards the regime. 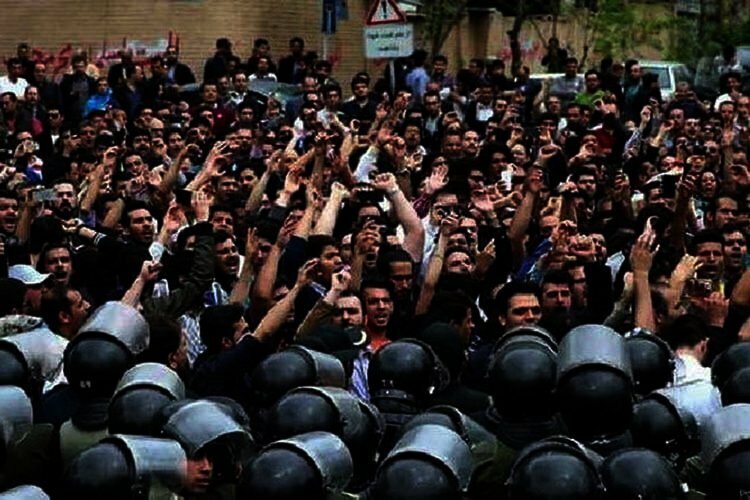 Officials know that millions of Iranians reject the regime in its entirety but due to widespread suppression, the formation of million-strong protests is virtually impossible under current circumstances. So, how are Iranians showing their resistance despite the suppression? The Units which have been formed throughout Iran, are organized supporters of the PMOI (MEK). The Resistance Units destroy images of key figures of the Islamic Republic, the regime’s Supreme Leader Khamenei and its founder, Khomeini, in public areas. They also set fire to the bases of Basij forces, part of the IRGC tasked with suppressing dissent in Iran. Their role is to lead and organize and be the driving force behind the protests for regime change. They counter the atmosphere of fear created by the regime and are a source of inspiration for resistance in Iran.